Moreover, even if it is your ultimate travel packing checklist or your essential survival item’s checklist do not forget to include this ultimate piece of utility tool aka an all-purpose knife. There are different kinds of knives corresponding to different kinds of needs. Similarly there are various top knife brands all around the world such as Wusthof, Henkens, Messerseister, Shun and so on. Apart from camping knives, a pocket knife is an ever-day carrying type knife which is small in size and the blade edges are either serrated or plain. A chef’s knife and paring knife serves the purpose of cooking and is an ideal cutlery item. The popular and best Chef’s knives and pairing knives these days usually come in either Japanese style or German Style. The Japanese knives are known for its precision and usually come with thinner edge while the German knives are heavier, durable and are more stable in terms of functionality. 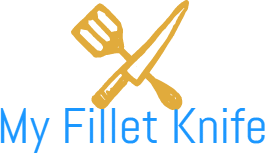 Apart from the chef’s knife and paring knife many kitchen knife sets carry many varieties of knives such as boning, filleting and slicing knife and others suited for different types of tasks in a kitchen. The variations do not end here. Knives also come in different materials, namely- high/low carbon steel or ceramic. To save space and time in our minimalist life, we all do look for an all-purpose item in every single categories possible. However you will in be a hard luck if you are looking for an all purpose knife serving both indoor and outdoor purpose. A multi-tool plier will serve the purpose in that case or for every-day carrying, a pocket knife if you are desperately trying to fit only knife as the option. While it is true that there is a best kind of knife fit for a specific need, it is also true that there is an all purpose knife to serve your household basic needs. A traditional fixed length knife which extends and retracts is the all purpose utility knife. It is lightweight mid-sized and falls in between the chef’s knife and paring knife. This type of retractable knife can somewhat do the trick of serving your all around household needs starting from cutting boxes, papers to cutting vegetables and sandwich meats in the kitchen. A chef’s knife is an all purpose kitchen knife. To turn anyone’s cooking world of chopping, slicing and cutting upside down and to serve all the essential purpose of a kitchen a chef’s knife will do the magic. A chef’s knife usually comes in Damascus style, comfortable grips and is also light weight and balanced. Japanese knives such as Global, MAC and Shun 8 inch chef’s knife is known to be many of our best friends in kitchen. However Japanese knives are not supposed to be used to cut meat slabs or chicken joints. A boning Knife is essentially a kitchen knife. A boning knife excels in length, flexibility and sharpness and is used specifically for de-boning chicken joints, slicing meats, poultry and fish bones. Some famous brands known as boning knife are J.A Henkel’s Boning Knife, Global Meat Cleaver, DALSTRONG Cleaver and Victorinox 12 Inch Fibrox Pro Slicing Knife and so many more. A paring knife is a short kitchen knife which usually has 2 to 4 inch blades. Paring knives are used for peeling, chopping or trimming and peeling small fruits and vegetables such as apples or potatoes. 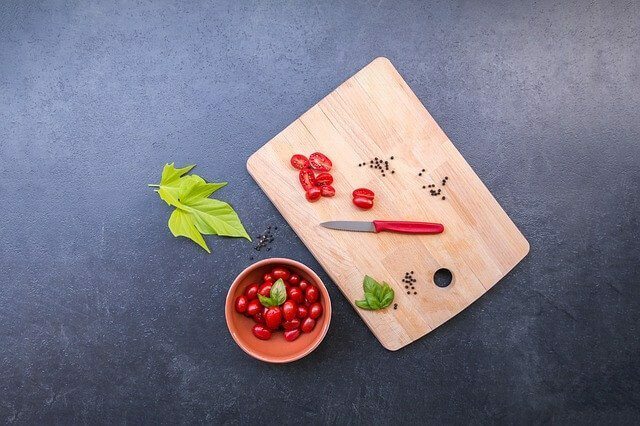 With various brands available in the market paring knife is a useful piece of cutlery item for mincing shallots, hulling strawberries or shelling shrimps. However a paring knife will be too small for bigger vegetables. Another of the kitchen knife is the Bread knife which usually comes with 7 to 10 inches blade. The bread knives are straight or slightly carved and the blade is of serrated edge which is perfect for slicing breads. 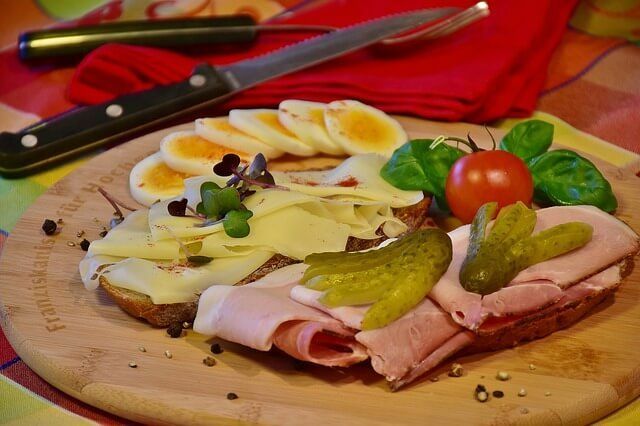 The bread knife is useful because slicing breads with it will not let the bread tear easily. Decorating knives comes with blades of various patterns which is helpful for decorating food items while cutting. The zigzag pattern is the most popular type of decorating knife. Sontoku Knife is another general all purpose kitchen knife which usually has 5 to 8 inches blades. Originating in Japan this type of knife is known for slicing, dicing, mincing onions ginger and even meat. Sontoku knives are comfortable to use as it comes with soft grip. Craft knives are for crafters and are somewhat a stationary item as it can be used for cutting papers also. Artists and craftsman use craft knives for various purposes such as cutting out intricate patterns, frame or for sharpening charcoals and so on. Precision Knives are sometimes called craft knives and comes with micro-ceramic blades, fine handling for precise control and is also lightweight and finger-friendly. Camping Knives are used for outdoor and recreational purposes and specifically for camping out. These knives are rigid and are useful for cutting ropes, cooking meals in a camp or sharpening sticks and shaving woods in a campsite or outside. When it comes to camping in wilderness one might need the hunting knife which is great for cutting animal skin and comes with exta grips. Among many brands available in the market, Kalahari Hunting knife, Bark River Drop Pointed Hunter, Omni Hunter Knifes are some of the renowned ones. Known for its durability and extra strength function survival knife are for the survivalist and is useful for butchering, wood working or even food preparation. Survival knives are usually pocket-sized and come with strong and robust blades and sharp pointed tip. The blade grips and knife tangs of survival knives are also an important thing to consider. The blade grips vary as being- compound grip, hollow, convex, saber or chisel grind while the knife tangs vary as being- full tang, narrow or partial. However a good survival knife is supposed to have fixed blade, full knife tang and solid handle with carbon steel or stainless steel blade. There are many brands available in the market offering specific survival knives such as Parry Blade Survival Knife, Smith’s Sharpener Survival Knife, Aitor Zero Survival Bushcraft and so on. A gentleman knife is a stylish and elegant type of knife which looks beautiful and is a type of walking-around knife. A gent’s knife is usually slim, modest in size, Lightweight and comes with intricate patterned handles of various materials as exotic wood, pearls and so on. These type of elegant knives are also sometimes termed EDC (Every day carry) knives and are essential item for those who wants to stay prepared for anything. The gentleman knives come with 2-3.88 stainless steel blades and the knives are designed by renowned knife smith and craftsman. Also known as Batanga Knives and Fan Knives is a type of folding pocket type and comes in two main types of construction – sandwich and channel construction. The Butterfly Knives is known to have been first crafted by a Filipino for Americans servicemen. Also known as Bail songs these knives can also serve the purpose of camping and hunting outside. Training knives are used by Police, military and martial arts purpose and is an essential tactical training tool. These types of knives come in a variety of shapes and sizes. A butterfly knife is sometimes also referred to as training knife. Amidst the various types of knives it might feel a bit overwhelming to decide where to start from while choosing a knife. In this case, it must be motioned that a knife’s sole purpose is to cut. A knife is useless with a dull blade. Similarly a knife is useless with rusty blades. When the purpose is to cut, one must mainly be looking for the knife’s blade’s quality and durability. Finally, as said before knife is an essential device and can be used both as a tool or weapon. Keep safety in mind when using knife and always store it in proper place.